Click on your right mouse button (at touch displays long press) to start the free PDF download and choose -Save Target / Link ...-. 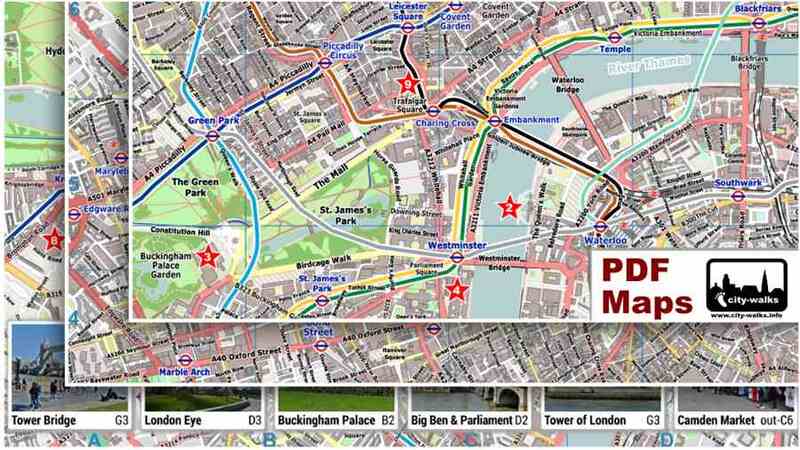 The PDF map is perfectly suitable for printing and you may also store it locally on your smartphone or tablet. The Trafalgar Square is one of the largest squares in the center of the city. The two fountains are a good place to sit and rest. The famous Lord Nelson statue stands on an approx. 45 m high base. The largest building on the square is the National Gallery, with distinctive columns at the front. The Golden Jubilee Bridges are two pedestrian bridges over the Thames. A railway bridge is located between the two pedestrian bridges. 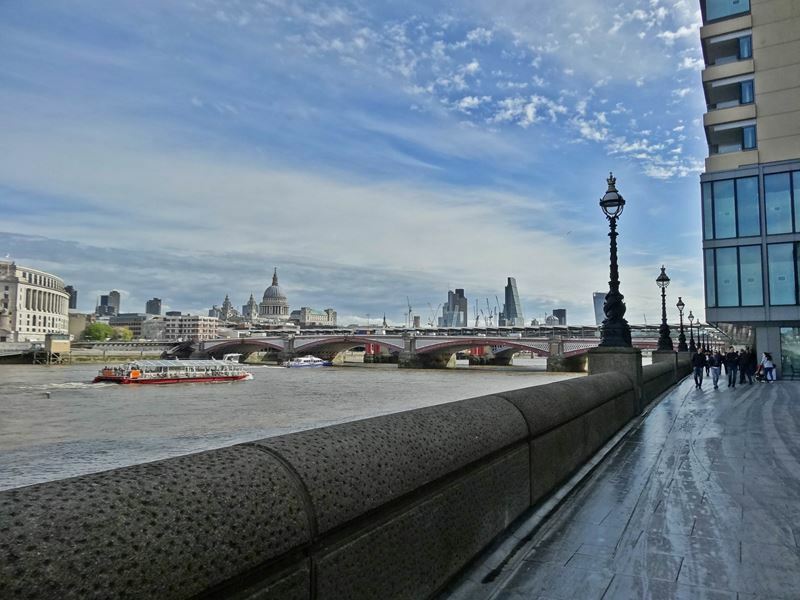 The southern Golden Jubilee Bridge offers a good view of the London Eye and the Big Ben. The Queen's Walk is a pedestrian promenade on the southern bank of river Thames. 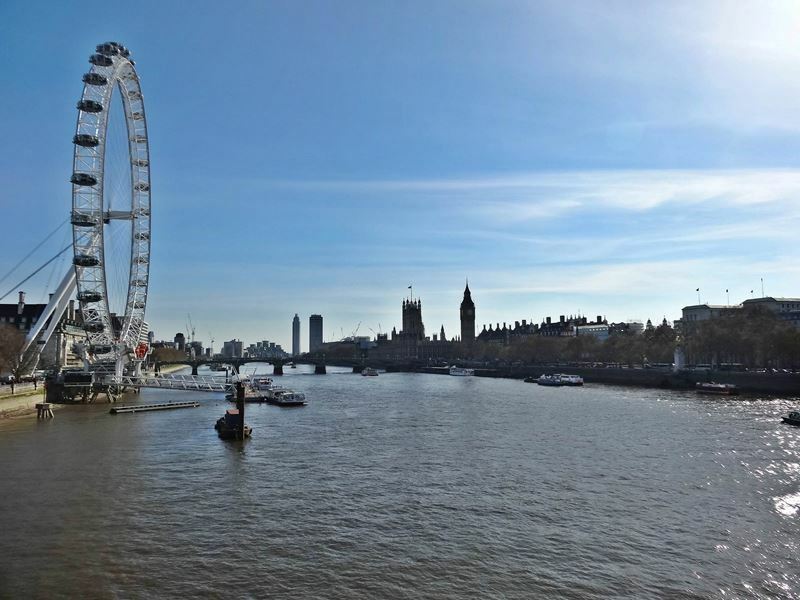 You will pass here some event venues such as the Royal Festival Hall, the National Theatre and the Oxo Tower building with some art galleries. 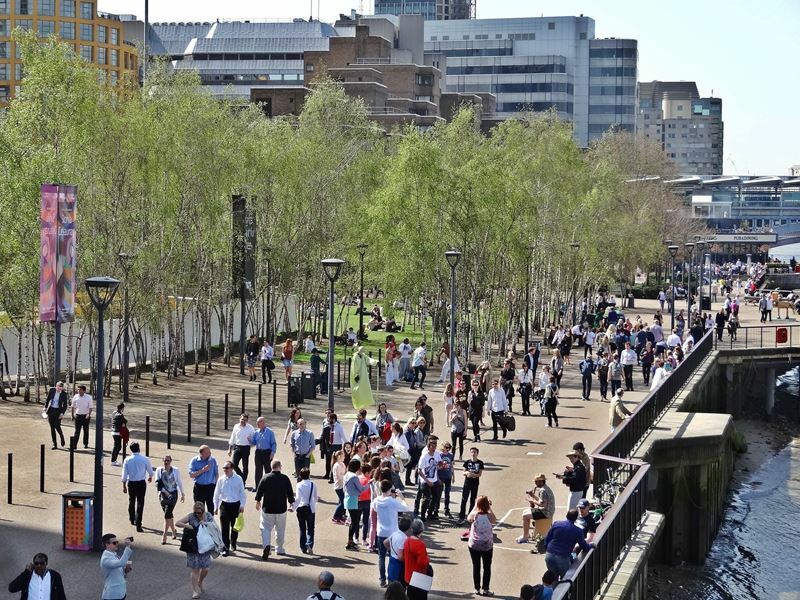 The Bankside is a district around the Tate Modern Art Museum. During nice weather conditions you will get a taste of Southern flair at this place. Enjoy the atmosphere and watch the street artists. The attractive Millennium Bridge was closed, after the opening in the year 2000, due to strong vibrations for 2 years and rebuilt. 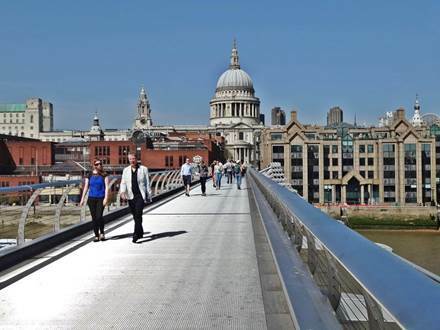 The impressive steel suspension bridge is a pedestrian bridge and allows some good views of the Tate Modern Museum and the dome of St Paul's Cathedral. 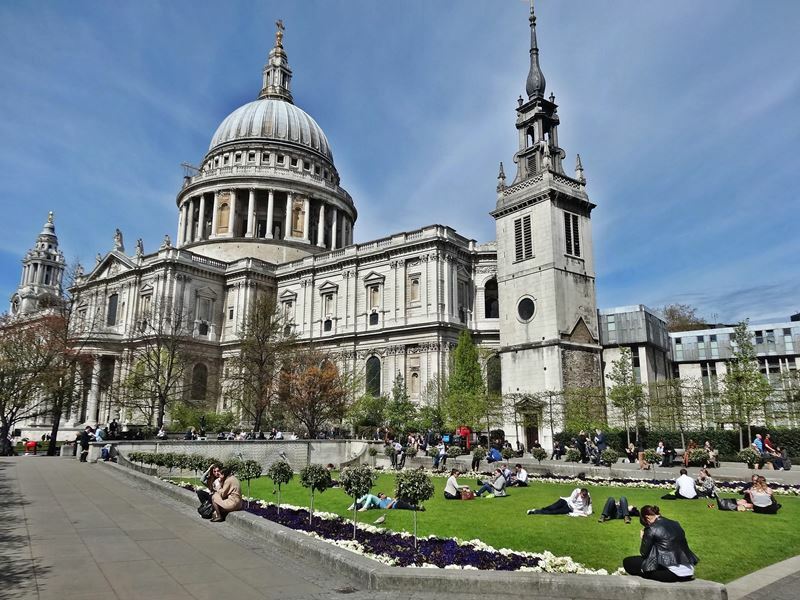 The St Paul's Cathedral offers some highlights for your sightseeing in London. The Whispering Gallery makes your whisper, through a special design, audible at a long distance. If you are physically fit you should take the opportunity to see the view from the small platform above the dome. But for that you need to conquer in total 528 steps. Free entrance with London Pass. 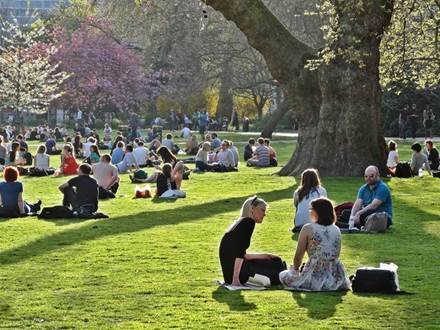 Lincoln's Inn Fields is a vast green square. The right place to simply relax and enjoy the sun in the city. The site of one of the four London bar associations, the Lincoln's Inn, is located right next to it. It is the name giver of this square. The Freemasons' Hall is the headquarter of Freemasonry. 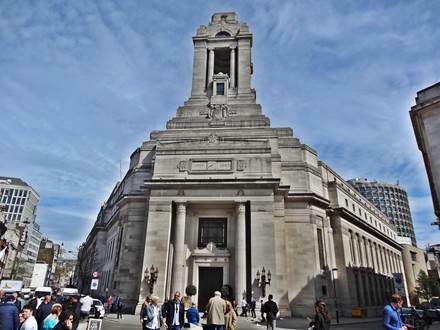 The building was constructed in 1933 and houses a Museum of Freemasonry which offers free entrance. 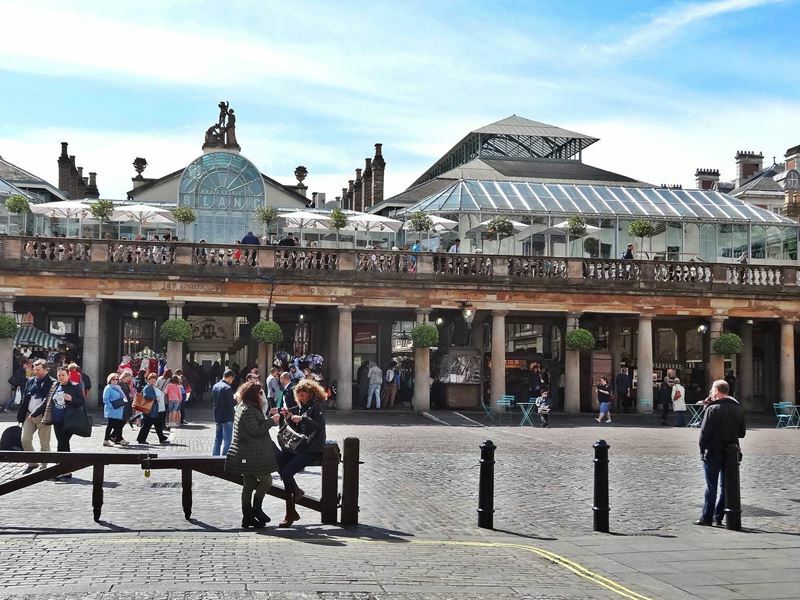 Covent Garden was London's fruit and vegetable market and is today a popular place for tourists. In and around the old market area you will find shops with high-quality products, many nice bars and pubs. 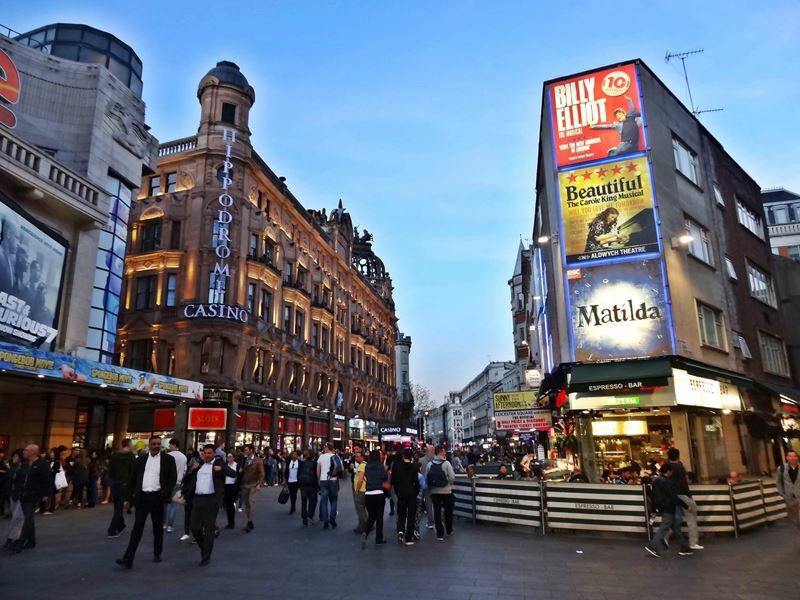 The Leicester Square is a small pedestrian area. 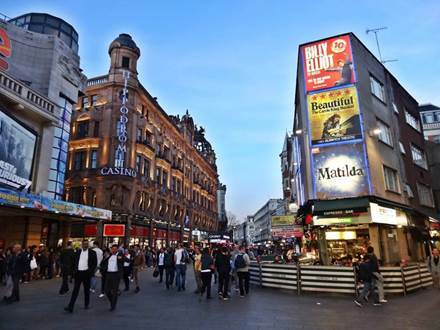 Particularly well known are two cinemas at the square which are a popular location for major film premieres. In the middle of the square stands a statue of William Shakespeare. The tour starts at Trafalgar Square. The easiest way to get there is by underground. Take the Bakerloo Line or the Northern Line to Charing Cross station. An exit from the underground station leads directly to the Trafalgar Square. 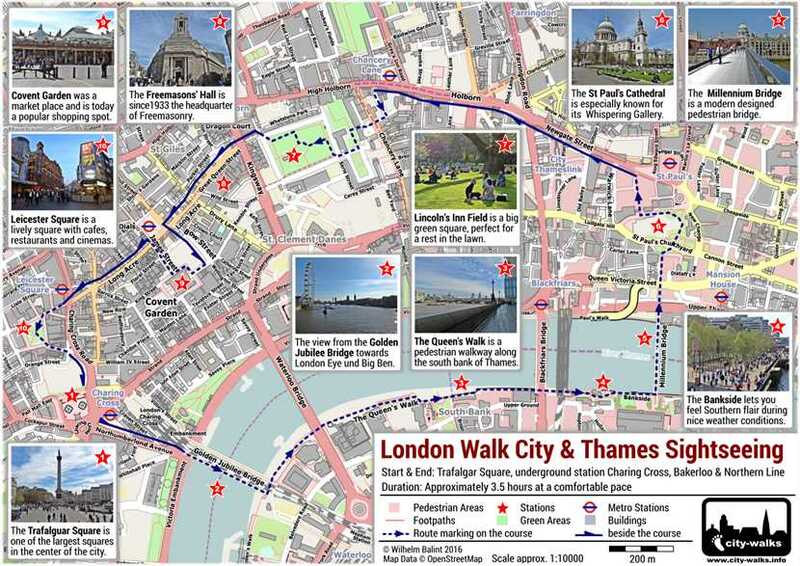 This London walk takes you along the Thames and through the City. Large parts of the path run through pedestrian areas. 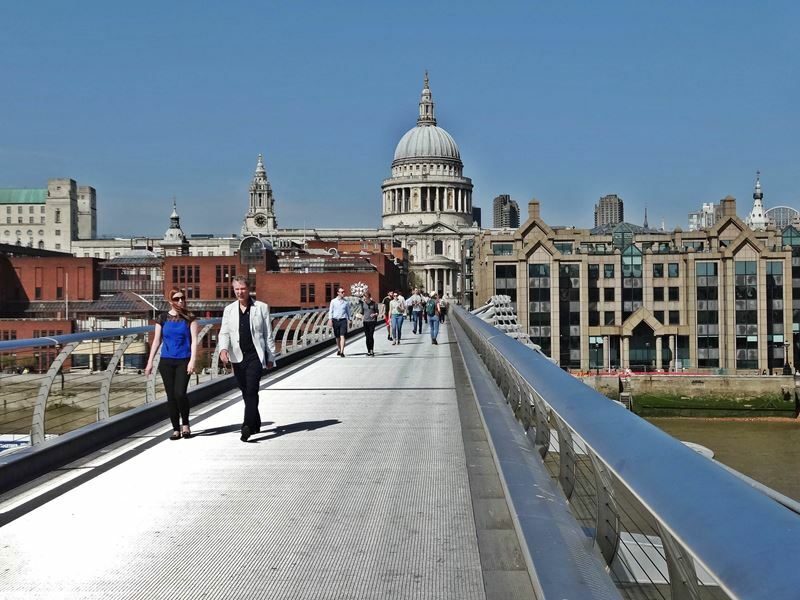 Just like the entire path between the Golden Jubilee Bridge and the St Paul's Cathedral. The whole route should be easy to find with the help of the PDF walking map. Only the branch at Holborn into a small side alley could be a little bit tricky to find. You can recognize this small alley by the sign -Staple Inn Buildings- at the corner. The alley will lead you to the Chancery Lane. There you need to look for an open gate. Pass this gate to reach the grounds of Lincoln's Inn bar association which you can leave again through a large brick gate towards Lincoln's Inn Fields. Continue from there again to follow the route on the PDF map. At the end of this beautiful sightseeing tour by foot you will come back to the starting point. With a relaxed pace the whole walk will last roughly 3.5 hours.